If your home needs re-roofing, you have some useful options available. You can improve your home’s value, and upgrade, too. There are multiple opportunities, and some good ways to save money too. Re-roofing is essentially rebuilding an existing roof, rather than roof replacement, which means replacing the entire roof with a new one. Roof restoration, in contrast, is a large-scale repair job. 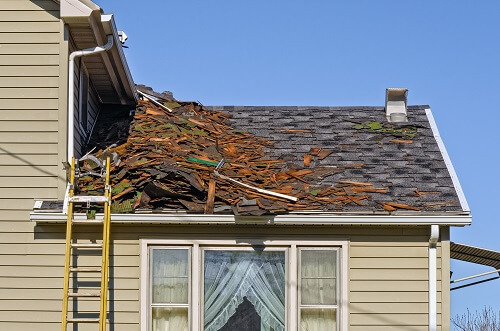 You need to re-roof because your old roof is in a state of disrepair. In some cases, roof problems can lead to doing other repairs, too, especially if the roof leaks or there are other problems affecting your home caused by the roof issues. Recurring repairs would cost more than re-roofing. This is a common problem, usually worse for older homes which may need multiple repairs, and in some cases major work. Please note that spending top dollar to repair a roof which needs on going repairs really can be a waste of money. Re-roofing can be surprisingly cheaper. Renovating or remodelling requires a new “revised” roof plan. In this case, the re-roofing requires reworking the roof plan to meet the needs of your new upgrade. The main roof is OK, but needs to adapt to the new layout. You simply want a better, upscale roof. A good practical reason, this adds value to your home and can be used to improve kerb appeal. A good thorough expert check of your roof: Most people don’t get around to doing a roof inspection regularly enough, so this is added value for your re-roofing, with a built-in fix for any problems. Upgrading your sarking (insulation) and improving home comfort: This is a very good idea if you have an older roof. OIder insulation is likely to be past its used-by date, and/or far less efficient as insulation. This helps save on your air conditioning bills, too. Choosing your roof colour: There are a lot of new colour choices coming on the market. You really do have to see the new colours to believe the design choices. Fixing any defects in your existing roof: This is a very high value, fix-everything option, and it will save you a lot of time and money over the years. Get professional advice regarding your options for roofing. Don’t spend a cent until you’ve discussed your needs with your roofers. Get your quote for the work you want done, including choice of tiles, insulation, timeframes, clean-up work, etc. Are you happy with the cost, the work to be done, and getting the roof design you want? Leave the rest to your roofers. That’s all you need to do. Trying to find a roofing contractor in Wollongong or Sutherland? If you want a re-roofing job done, with all the services you need, call ReKote Roofing and Restorations on the Wollongong or Sutherland phone numbers below. Alternatively, fill in our online form and one of our representatives will be in contact with you shortly.